We are EU NUTRITION®, a European brand respected by its quality and transparence concerning the production method and the source of the raw materials used in our products. To guarantee these two statements, we’ve reached the biggest manufacturer of milk-based products in the world, so we can obtain the most pure protein, with high biological value. 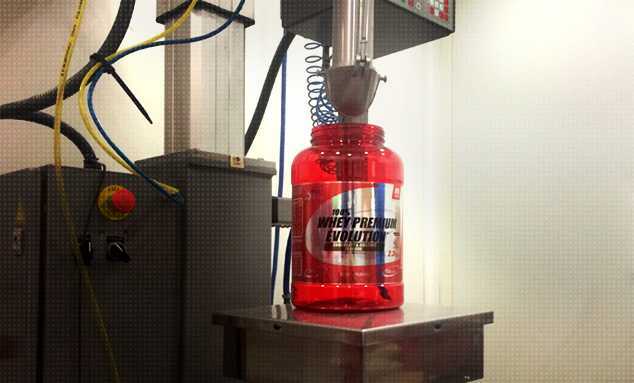 We have a range of sports supplements that covers all the needs of the most demanding athletes. We have also a range of certified organic products, wich includes several superfoods. The labs where we manufacture the products of EU NUTRITION® are certified by the most rigid rules of EU and exclusively make food products, therefore avoiding the contamination of doping substances. Are you evolving with us? We currently have a range of more than 140 different references (including over 13 different flavours in protein), always with the intent of satisfying all types of sports. We are constantly evolving, preparing the launch of new products, and increasing our range. We have also a certified organic range with several superfoods and some innovative products. We are the only brand in Europe that makes the fusion between sports supplements and healthy foods, creating a unique universe of sport, health and wellness, and being present in all aspects of a healthy life. More arguments to Evolve with EU NUTRITION®? For EU NUTRITION®, it’s not enough to just sell one protein, EU NUTRITION® can state that it can offer its clients the best protein in the world. EU NUTRITION® refuses to offer products with cheap, low quality ingredients. We’re compromising ourselves to offer premium, quality products, manufactured with the best ingredients in order to satisfy the greatest expectations of our clients. Our profit is inherently tied with this goal. Each product has been tested by several sporstmen, including olympic athletes, with favorable results. We can guarantee the efficiency of the entire range of products of EU NUTRITION®.